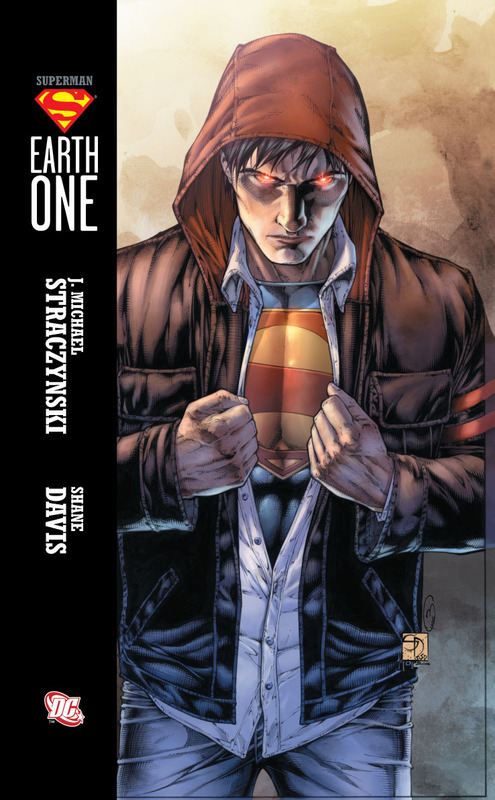 Superman: Earth One. Listless Liberal Hipster, or Worth a Read? If it turns out DC created listless hipster Superman, whose 'S' really stands for "So What?" I'll be upset. But J. Michael Straczynski has an impressive track record. I'll wait for the first conservative review from someone who (shocker!) actually read the entirety of Superman: Earth One. In and of itself there actually isn’t too much wrong with this statement. In a vacuum it’s actually rather innocuous. It’s healthy to be skeptical of one’s government. However, a Superman imbued with a liberal worldview would mean those very same comments are much more loaded than they appear. When conservatives see The Huffington Post giving rave reviews, it’s understandable that their antennae would be on moral-relativist alert. And after what’s gone on with Wonder World-Consensus Woman or Captain “The Tea Party is the New Red Skull” America over the past year or so, I can’t begrudge conservative comics fans for being on the defensive. DC’s Dan DiDio wants to reach out to a younger audience, and that’s understandable. Marvel basically did just that with its Ultimates line (which I also don’t read). One theory on how to get new readers is by wiping the slate clean so the clutter that comes with decades of continuity doesn’t need to dealt with by first time readers. Understandable. Another way is by regularly writing really good stories with really good artwork —that actually come out on time—but for all intents and purposes DC is behaving rationally. If they want to write “Superman for Twilight fans,” as DiDio put it, then fine. I won’t buy it, but God bless them if the market rewards them for the decision. My biggest problem is having a culture where our heroes are just as confused as the people who are supposed to look up to them. People aren’t perfect, but they can achieve great things if they have an ideal to live up to. If you expect excellence from someone they’re going to sometimes disappoint you, but they’re also going surprise themselves with just how much they’re capable of achieving—and experiencing a little strength and success has habit of becoming addictive to those who experience it. It would be more comforting to know that the stable of heroes helping to shape the minds of young people has a few men and women who could instill strong values and encourage them to dream big. A listless hipster Superman who attends Jon Stewart rallies, and whose ‘S’ basically stands for “Sub-parman” or “So What?”, doesn’t do that. In this case I’ll reserve judgment. Anyone who is familiar with J. Michael Straczynski’s work knows that he’s a pretty creative guy. I’ll be looking forward to reading the first conservative review by someone who’s actually completed Superman: Earth One, instead of reactions to press statements, or excerpts from the book.